January 19, 1809 - Born to Actress Eliza Poe and Actor David Poe Jr. in Boston, Massachusetts. He is child #2 for the family: brother William Henry Leonard Poe is the oldest, and sister Rosalie Poe is the youngest. 1810 - Poe's father David Poe abandons the family. Dec 8, 1811 - Poe's mother Elizabeth Arnold Hopkins Poe dies from pulmonary tuberculosis in Richmond, Virginia. 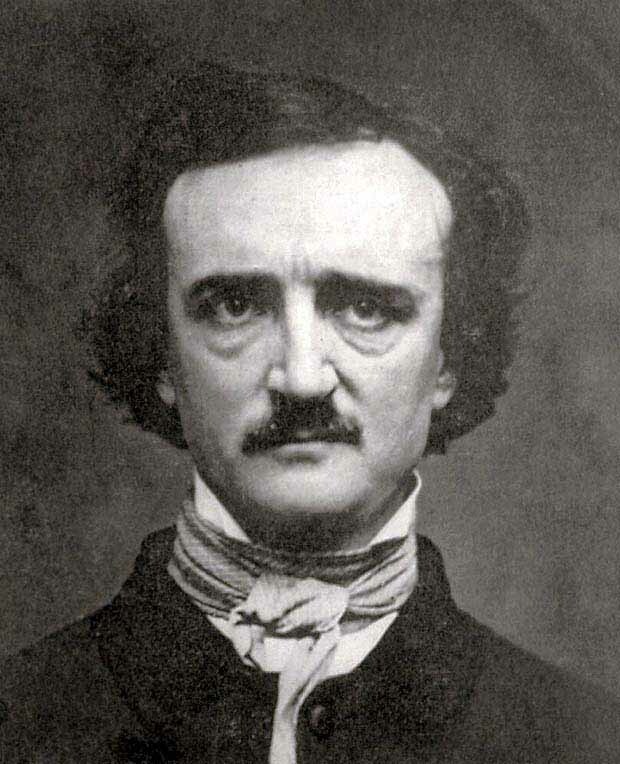 Edgar is age 2 and is taken in by the family of John and Francis Valentine Allan, and is given the name Edgar Allan Poe. 1815 - The Allan family move to England for five years, and Edgar attends school in Scotland, London, and Chelsea, England. 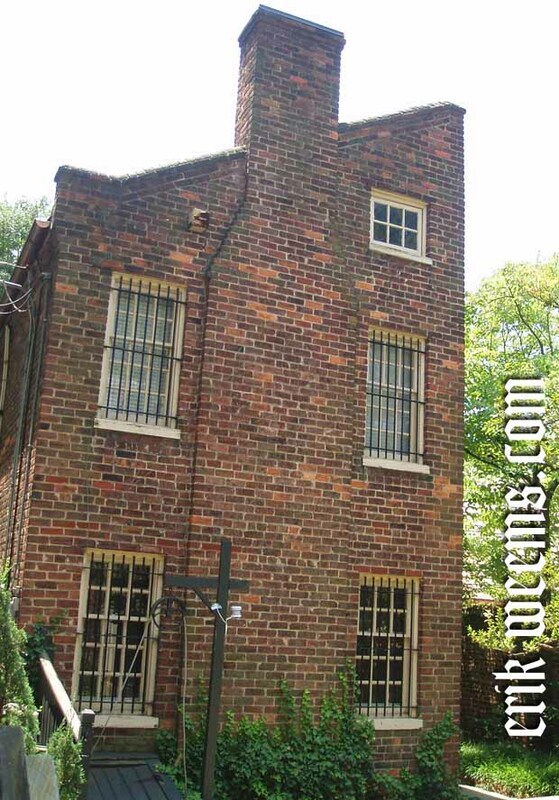 1820 - The Allan family returns to Richmond Virginia. 1826 - Edgar is enrolled into the University of Virginia. He may also be secretly engaged to Sarah Elmira Royster. 1827 - Poe quits the University of Virginia when he can no longer afford the tuition costs (nor pay his debts from gambling) as he and John Allan have become estranged and Allan is no longer supporting him with funds. Edgar also learns that Sarah Royster has married another man. Edgar moves to Boston, Massachusetts, and works as a clerk and newspaper reporter. May 27, 1827 - Poe enlists into the United States Army for a 5-year term under the name "Edgar Perry." 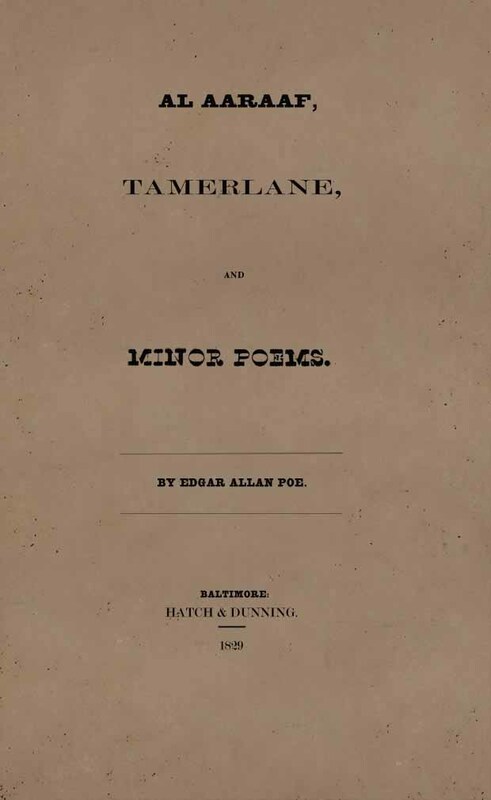 1827 - Poe publishes a 50-page book of poetry titled Tamerlane and Other Poems. Only 50 copies are printed. 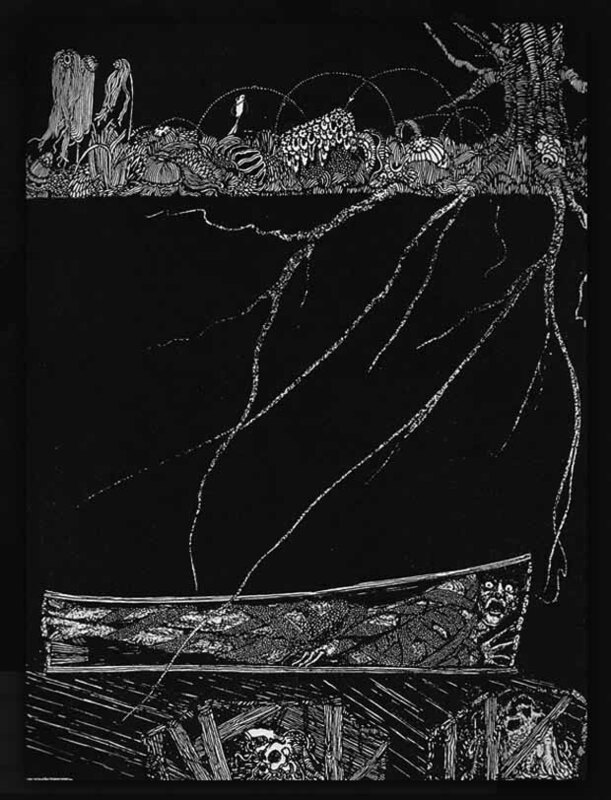 February 28, 1829 - Francis Allan dies, and Poe arrives the day after the burial (it is speculated that John Allan had kept the news of his wives decline in health from Poe on purpose.) John Allan and Poe have a reconciliation and Allan agrees to support Poe's effort to discharge himself from the regular army and to enter West Point to train as an officer. 1829 - Poe is discharged from the army early by securing a recruit to take his place. He then travels to Baltimore to briefly live with his widowed aunt Maria Clemm. 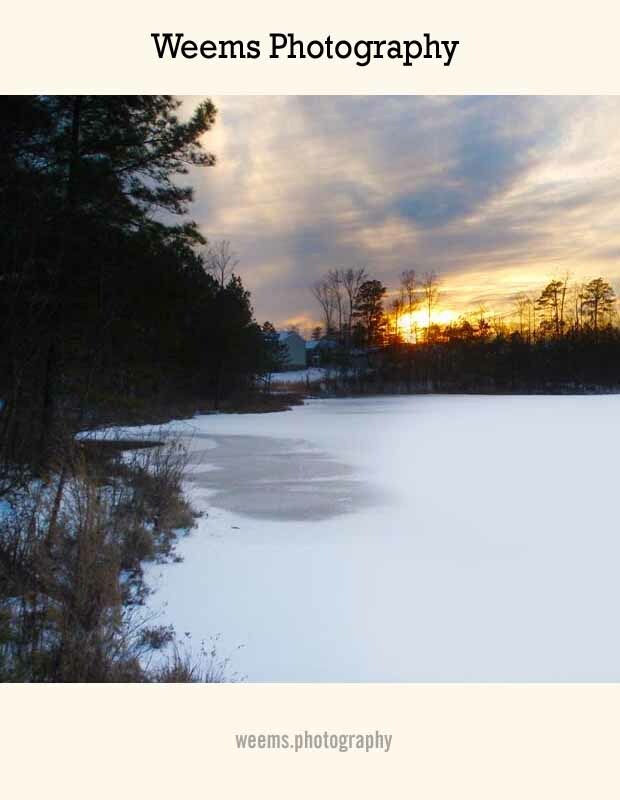 A second book of poetry is published, titled Al Aaraaf, Tamerlane and Minor Poems. 1830 - Poe enters West Point, but shortly thereafter begins to quarrel with John Allan, apparently over Allan's new wife and various children born of affairs while Francis Allan Poe was still living. 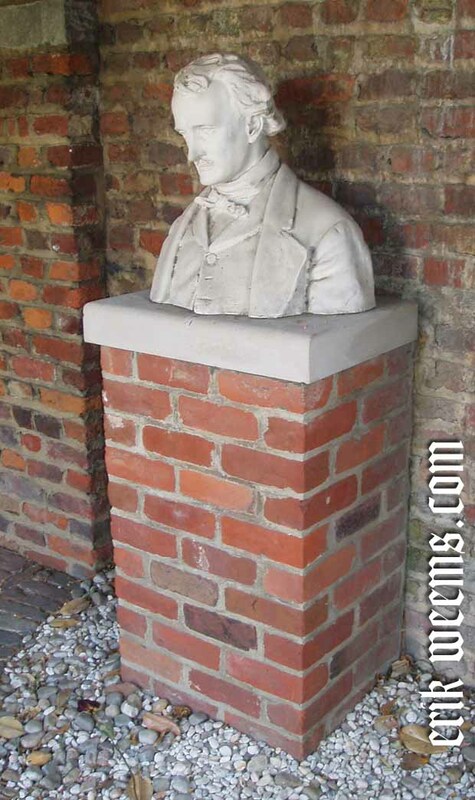 1831 - 1831 - Poe deliberately arranges his own court martial so that he can be removed from West Point. He then travels to New York and has a new book of poetry published, simply titled Poems. In March, he is back in Baltimore living with his aunt Maria Clemm again. Poe also begins a serious effort to earn a living as a writer. 1833 - Poe wins a prize from the newspaper The Baltimore Saturday Visitor for his short story MS. Found in a Bottle. 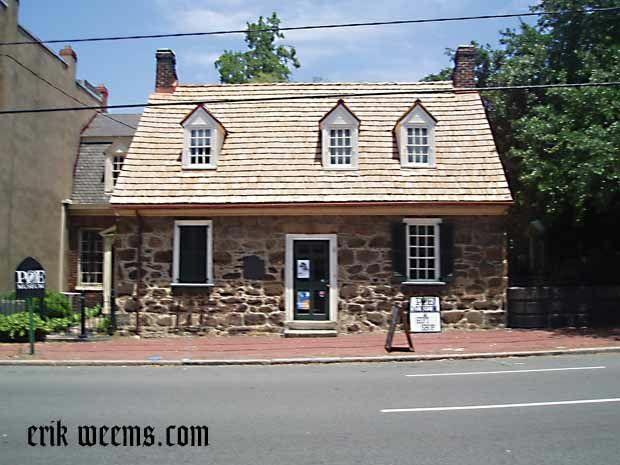 1835 - Poe becomes an assistant editor for the magazine The Southern Literary Messenger in Richmond Virginia. Shortly thereafter he is fired for drunkenness and returns to Baltimore. September 22, 1835 - Poe is married to Virginia Clemm, age 13, though she is listed on the marriage certificate as 21. The ceremony is held in secret. Poe is also reinstated as an assistant editor at the Southern Literary Messenger after promising better behavior. 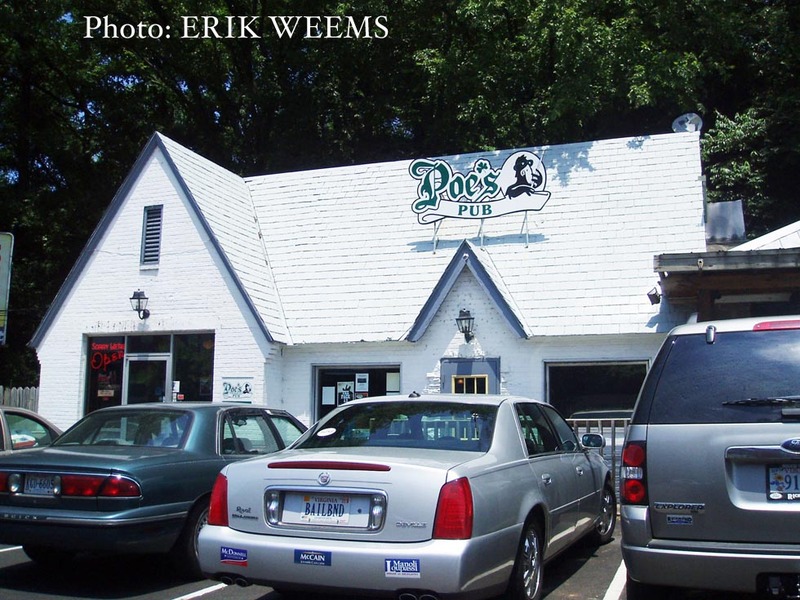 Maria Clemm and Virginia move to Richmond with Poe. 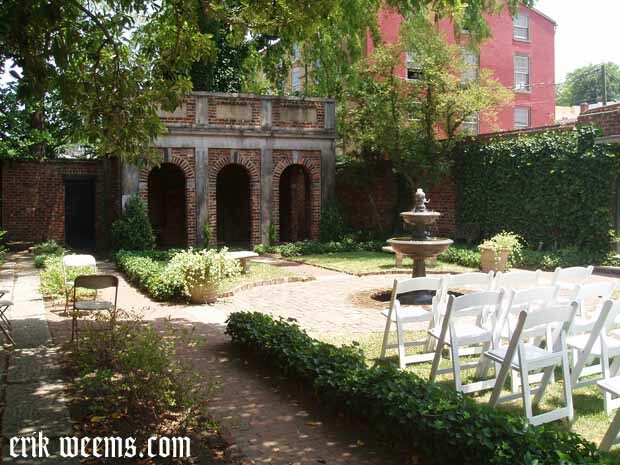 May 16, 1836 - A second marriage ceremony is held in public in Richmond for Edgar and Virginia. 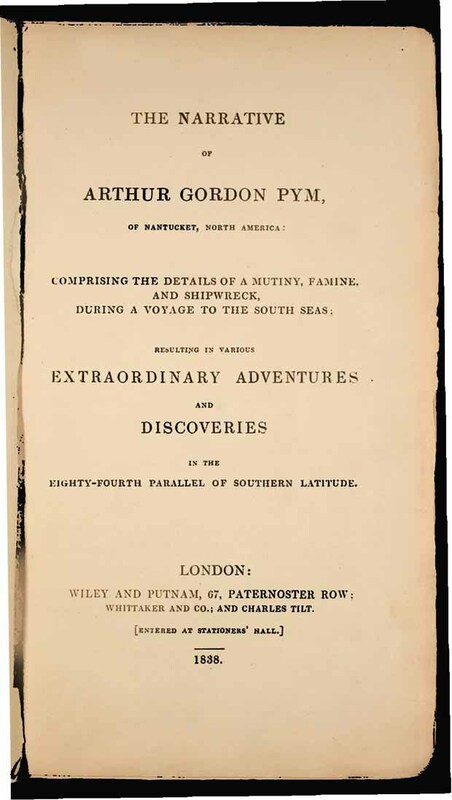 1838 - Poe's book The Narrative of Arthur Gordon Pym of Nantucket is published. 1839 - Poe becomes assistant editor at Burton's Gentleman's Magazine. 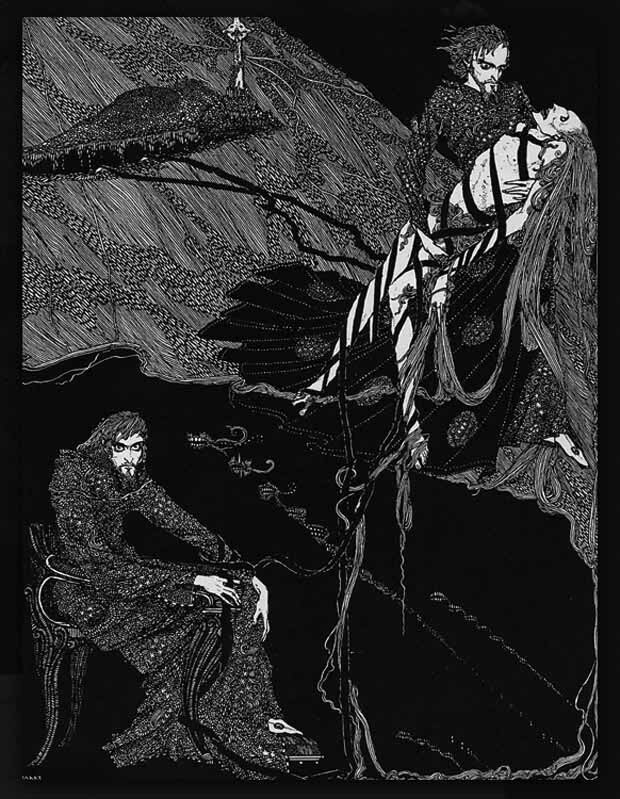 A two volume collection of Poe's writings is published as Tales of the Grotesque and Arabesque. 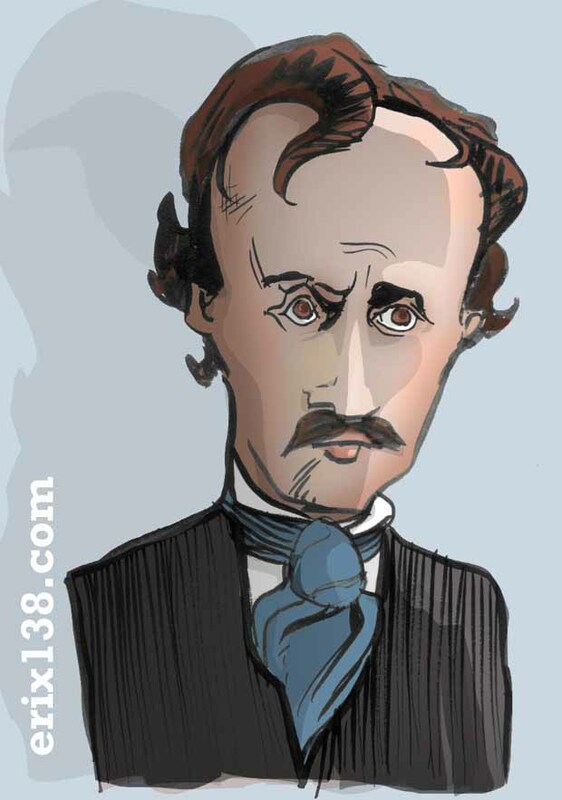 1840 - Poe becomes an assistant at Graham's Magazine. Poe also begins trying to start his own literary magazine, originally titled The Penn (because it would come from out of Philadelphia, Pennsylvania) and then changed to The Stylus. The magazine will not make it into print. January 1842 - Virginia Poe begins to show signs of tuberculosis. Soon Poe and his wife, along with Maria Clemm, move to New York where Poe becomes editor of the Broadway Journal. January 29, 1845 - Poe's poem The Raven is published in the Evening Mirror. 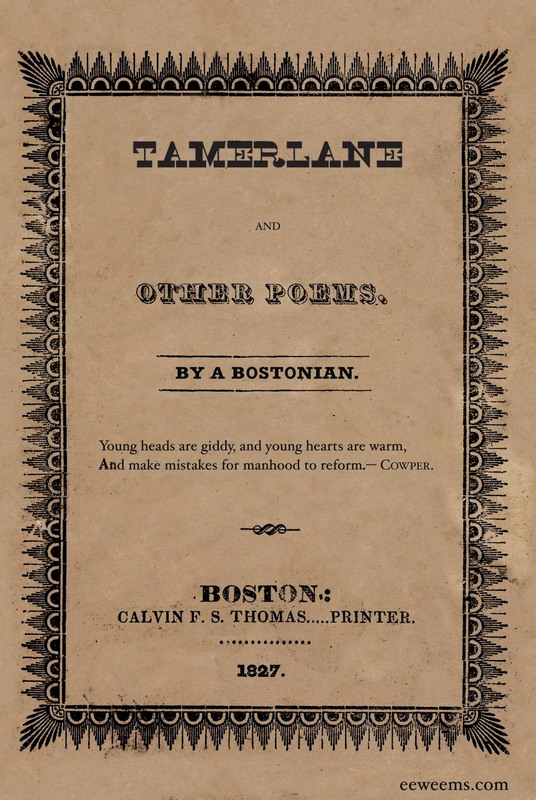 1846 - The Broadway Journal folds, by this time Poe has become the owner of the publication. Without employment, Poe freelances. January 30, 1847 - Virginia Clemm dies of tuberculosis. 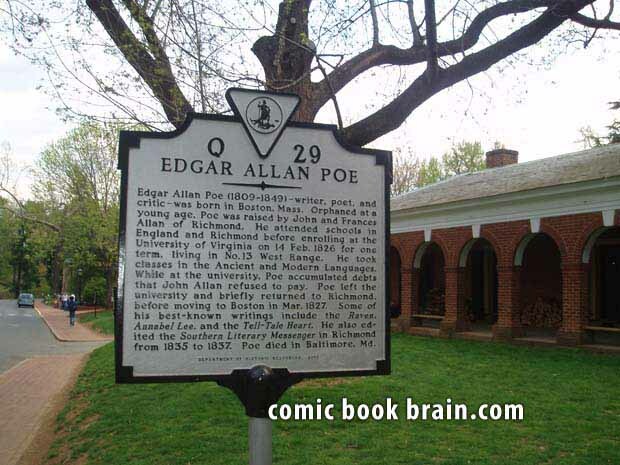 July 13, 1849 - Poe moves back to Richmond, Virginia. 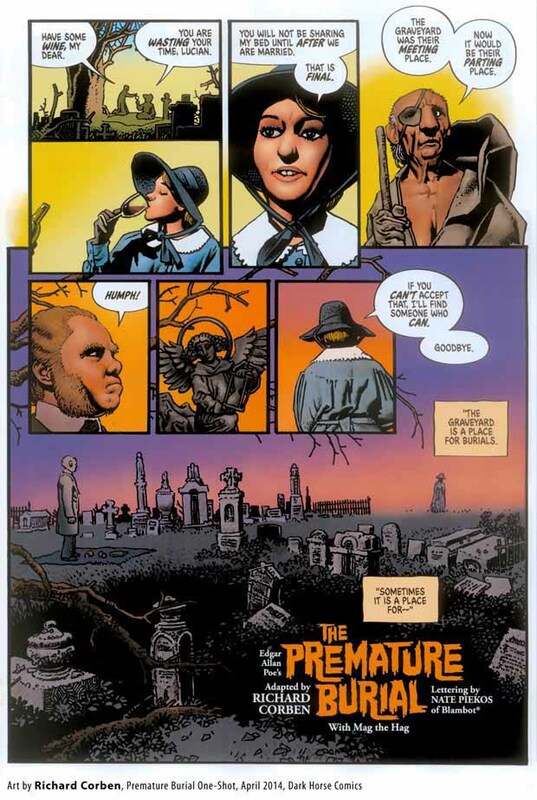 By this time Sarah Royster has been widowed, and she and Poe begin courting again. Sept 27-30, 1849 - Poe travels to Philadelphia and to Baltimore, a trip meant to seal a business arrangement for the publication of a new literary magazine, though Poe was supposed to travel to New York for this purpose. It is speculated he went to Baltimore in error by simply boarding the wrong train. He checks his luggage and a cane (accidentally borrowed from a friend in Richmond) at a Baltimore hotel and doesn't return. October 3, 1849 - Poe is found collapsed on a street in Baltimore. 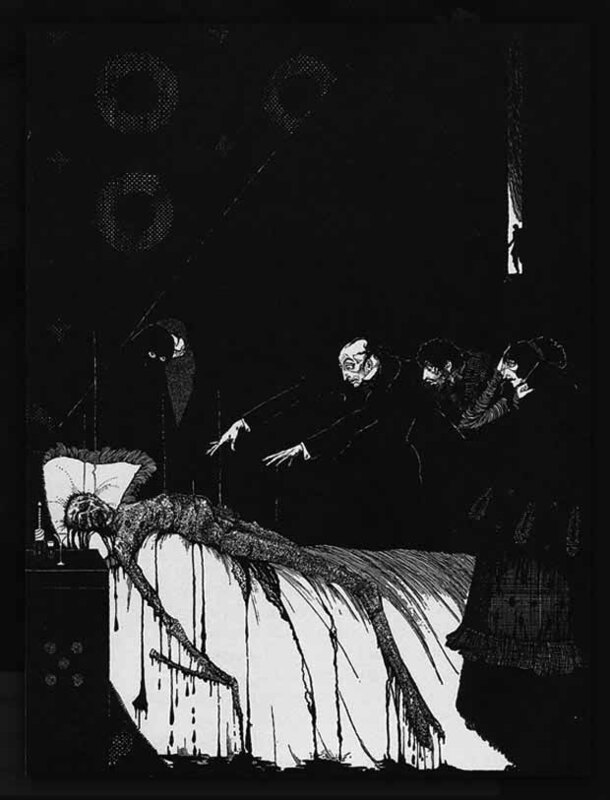 October 7, 1849 - Died in Baltimore, Maryland, at Washington Medical College. 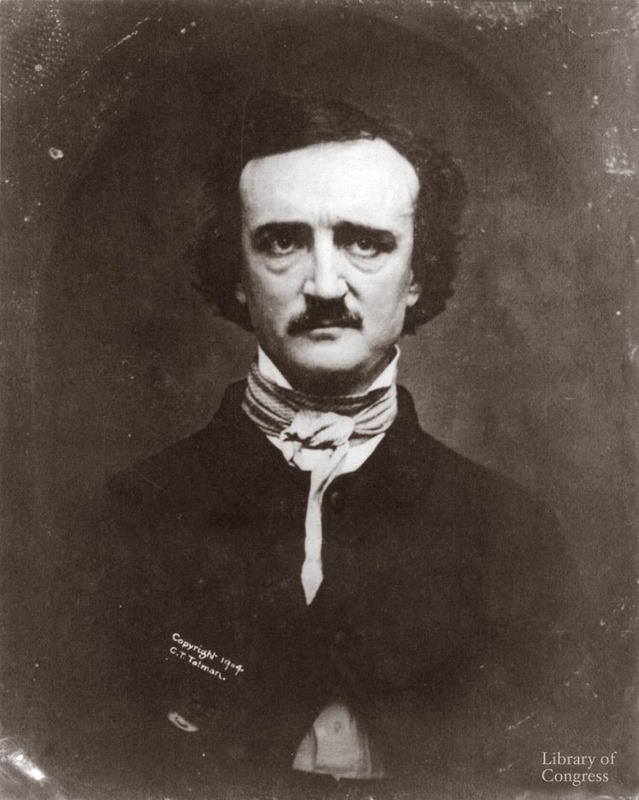 Contemporary records indicate people believed Poe died of an alcoholic binge. 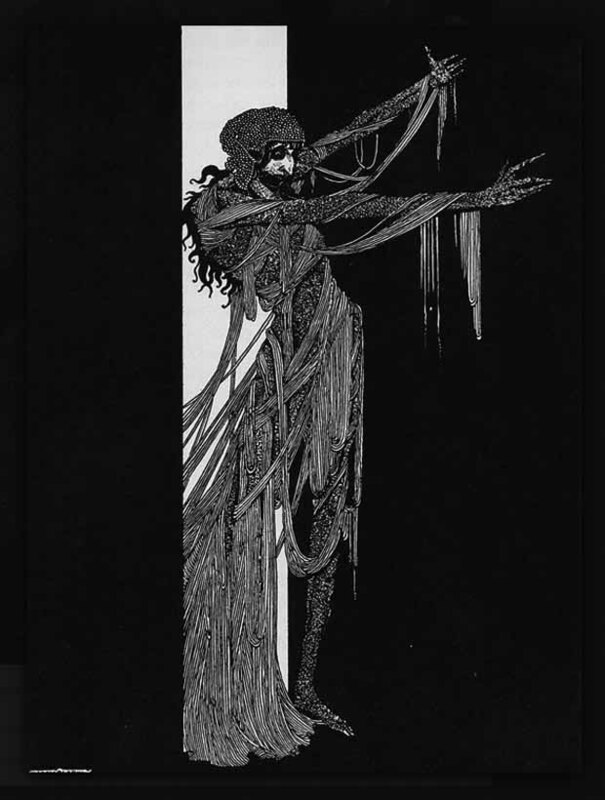 On the other hand, Poe had complained of cholera-like symptoms in a letter to Maria Clemm shortly before his death. There is also evidence of other causes: diabetes, a brain-tumor, among others. Poe is simultaneously in the middle of the great current of American literary history, and outside of it. His stories continue to sell books, and as a personality, he is famous in a way that long ago transcended the world of authors. It didn't help that Poe was raised in the South and was considered a Southerner, and as there was the percolating animosity between Southern and Northern cultures, amplified by the Northeast critics, Poe started from a lower rung on the ladder by virtue of his supposed birthplace. The irony is that Poe was born in Boston. Poe's 'outsider' credentials are legitimate: he was fired and sometimes slandered by a number of editors and writers. The slander hasn't really ever ceased, though the number of anti-Poe voices has thinned considerably since the 1800s when it was considered a de facto truth that Poe was a degenerate, drunkard and moral disgrace. This profile was helpfully fueled by Poe's own literary executor, a competing writer/editor named Rufus Griswold, who despised Poe. Griswold took the trouble of forging documents to help back up his one-man execution squad against Poe's reputation. It wasn't until 1875 that Griswold's fraud began to be exposed. 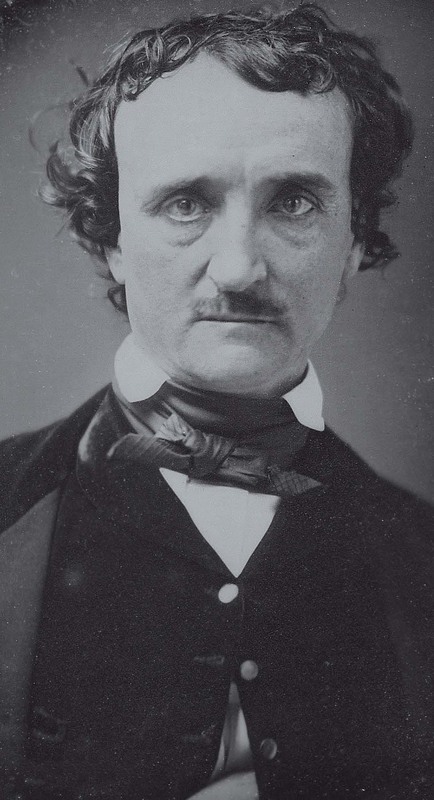 It is of interest that many of the modern arbiters of literary worth are not even sure if Poe is a very good writer. Professional canonizor Harold Bloom has said many times that Poe is a terrible author of stories and poems (though Bloom passes a 'maybe' over the value of Poe's poem "Annabel Lee"), but even in his frustration, Bloom says that the puzzle of Poe is moot: he has influenced everything that came after him, so there's simply no escaping him. 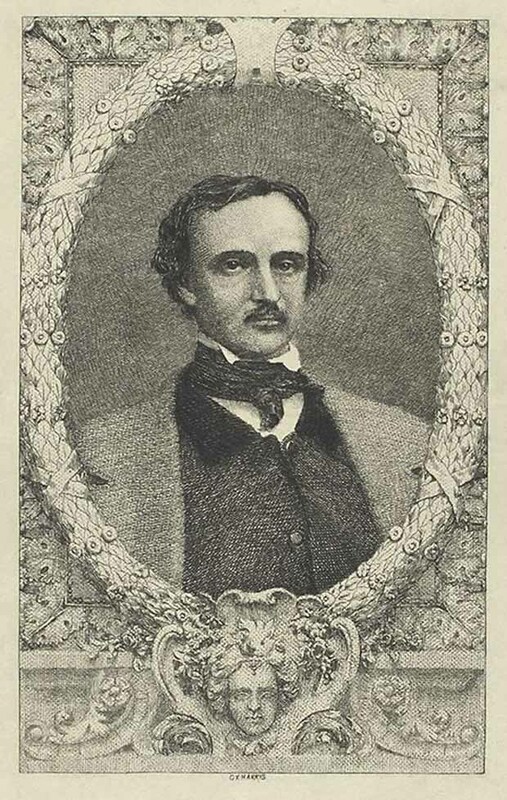 There are many biographies written about Poe's life and with various explanations for the fuzzy parts (for example, his death in Baltimore, where he was found in the gutter - - either drunk or in a delirium from an ailment - in someone else's clothing, and speaking in riddles about a man named Reynolds, a man who has never been identified). Was Poe drunk? Was he in the final stages of disease from a brain tumor (a fairly convincing theory based upon post-mortem evidence)? Was he dying from a lifetime of untreated ill health from diabetes? (Also a reasonable theory based on evidence). The industry of explaining Poe's life keeps moving forward, partly because there isn't a way to truly nail it all down. The final blank week of Poe's life provides an ambiguity for a Rorschach for the Poe biographers. 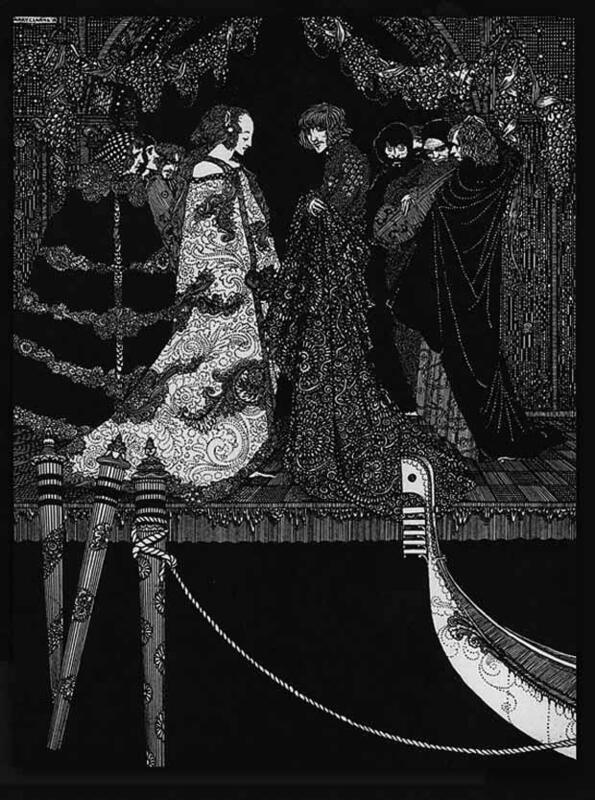 If we don't count the Hollywood adaptations of Poe material, Poe's general fame with the American public rests on a small squadron of short stories and a few poems, in particular, The Raven, published in January 1845. 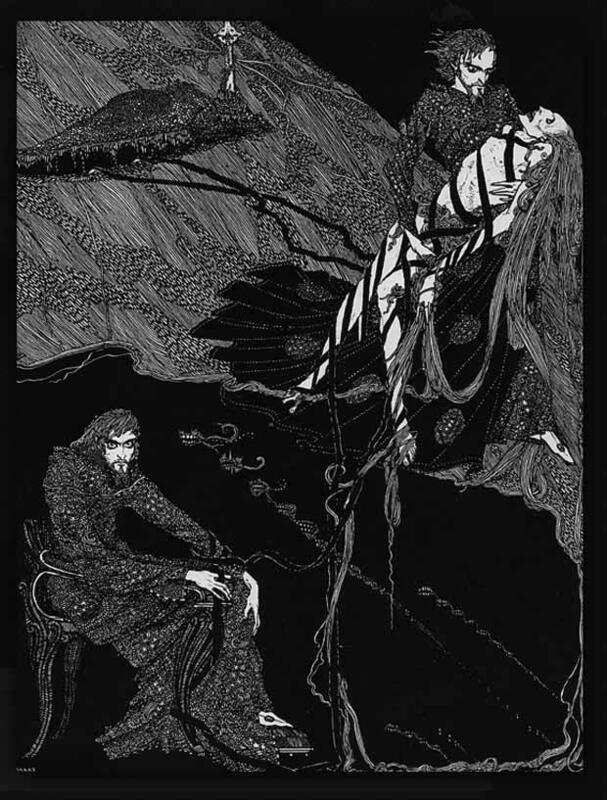 His brief story The Tell-Tale Heart, and the Rubiks-cube of a story The Fall of the House of Usher are famous and are repeatedly used in school curriculums. Both The Raven and Tell-Tale Heart have much to recommend them, particularly to school-age readers: simplicity of approach, ease of comprehension of what's happening, and the seriousness of the dilemma (death and madness). Poe's stories often leave strong impressions, and many readers have used Poe as a bridge into a broader world of reading. Outside of the educational system, there are the Hollywood film adaptations, usually in the genre of horror. Though rarely faithful to the original stories, the films (for example the string of Vincent Price starring films made in the 1960s) use Poe as a crutch to lean upon in order to have some dignity applied to the on screen scares. It is remarkable that Poe (as a genre all its own) is a marketing brand which is both suitable for cheap exploitation and as a name that can stamp a project with some degree as being of a time-tested quality. 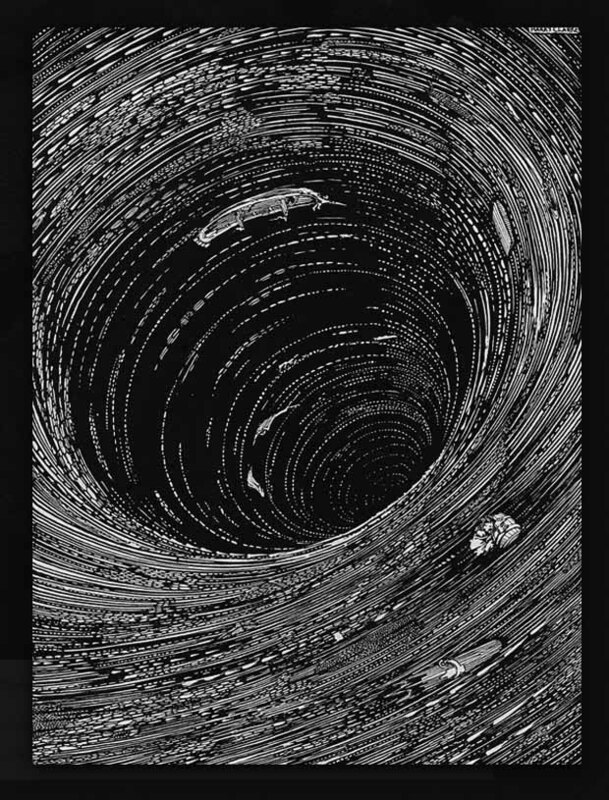 Poe's internal world seems to have been occupied with combinations of building a theory of existence (which is on display in his long essay Eureka: An Essay on the Material and Spiritual Universe), staying in contact with a frequently changing coterie of admirers and friends, and battling his poverty and mental volatility. 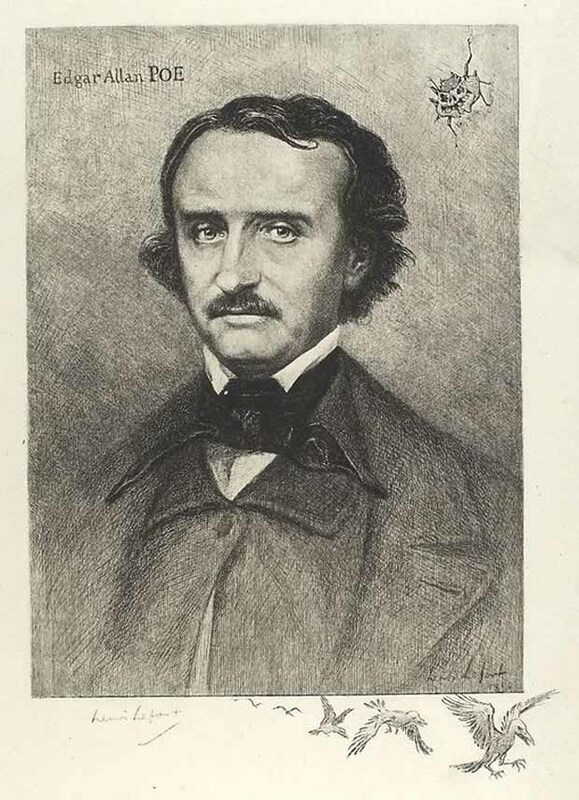 "Dr. Kay R. Jamison, speaking yesterday at a Hopkins symposium on mood disorders, argued that Poe is probably one of many writers and artists who have suffered from the ailment, which is marked by wild swings between frenzied, compulsive activity and crippling despair. 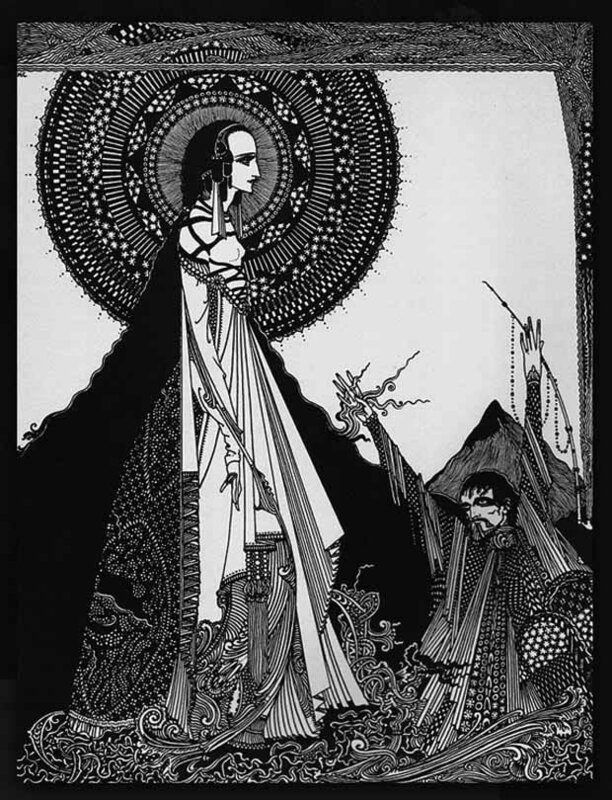 As evidence, she cited contemporary letters and details of Poe's life. Fellow students at the University of Virginia, where Poe studied, described him as a volatile personality and an "impulsive, chaotic" gambler, Dr. Jamison said. A fellow cadet at West Point, where Poe spent a year, wrote that "[we] considered him cracked." Poe himself wrote that "I fell in love with my melancholy." After his 1848 suicide attempt, he wrote, "I went to bed and wept through a long, long hideous night of despair." Poe was close to marriage with childhood friend Sarah Elmira Royster in Richmond, Virginia (to whom he had sworn abstinence from alcohol as a precondition to their union) when he died unexpectedly in 1849 on a business trip to New York City. Poe only made it as far as Baltimore, Maryland, where he apparently boarded the wrong train to continue his journey. Temporarily stranded, he checked his luggage into a Baltimore hotel, only to never return for the items. Poe was found days later in a stupor in a Baltimore city gutter, wearing clothing that was not his, and regularly inquiring after an unknown man named Reynolds while in a state of mental disarray. Poe was taken to a hospital where he expired on October 7, 1849. 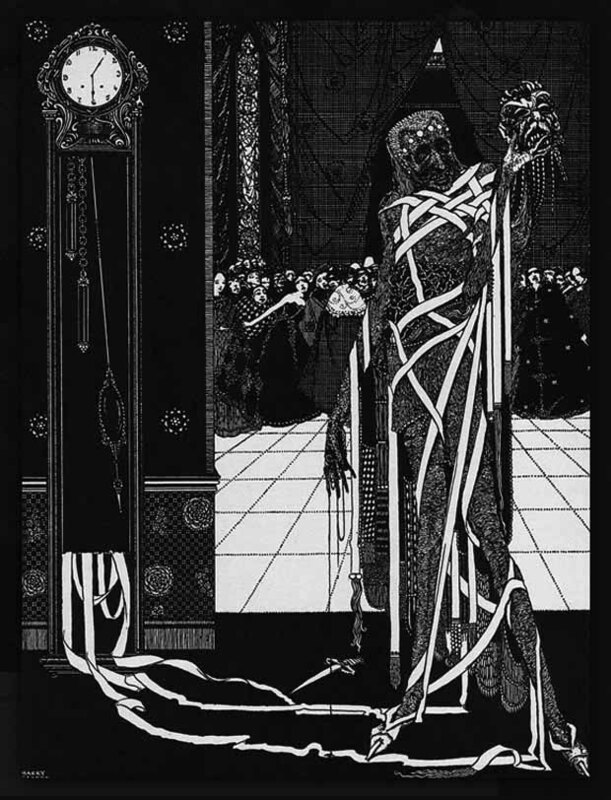 "The eerie, ghost-like statue, which will be life-sized or approximately 5’ 8” tall, is set to be unveiled on October 4, 2014, just three days before the 165th anniversary of the writer’s death. Stefanie Rocknak beat out 265 other artists from 42 states and 13 countries to create a sculpture honoring author and poet Edgar Allan Poe that will be displayed in Boston, Poe’s birthplace." "Born in Boston 200 years ago, Poe long had been overlooked as a native son because of his rancorous relationship with the city and its writers. But after an aggressive campaign by a devoted band of Poe enthusiasts, city officials agreed to pay tribute to the "master of the macabre" by renaming the corner of Boylston and Charles streets, across from Boston Common. "Together again, at last," exclaimed Paul Lewis, a Poe scholar at Boston College who led the charge to honor the 19th-century author. At the dedication ceremony, under sunny skies that seemed ill-suited for a tribute to the famously morbid writer, Lewis said the square would "celebrate the city's connection to Poe." He urged those who might harbor bitterness over Poe's hostility toward the city he derided as a provincial "Frogpondium" to let bygones be bygones. "To these unforgiving folk, I say: 'Wow, you really, really know how to hold a grudge,' " he quipped." 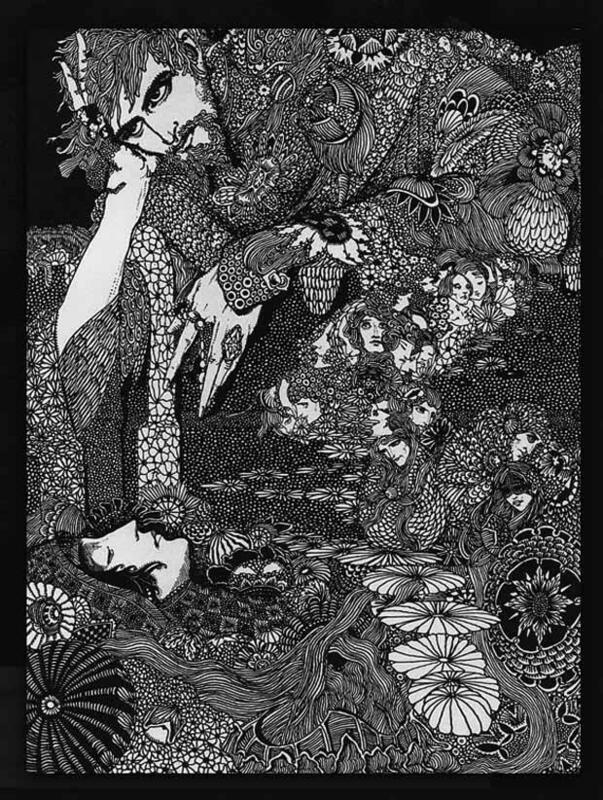 Source: Henry W. and Albert A. Berg Collection of English and American Literature, The New York Public Library. 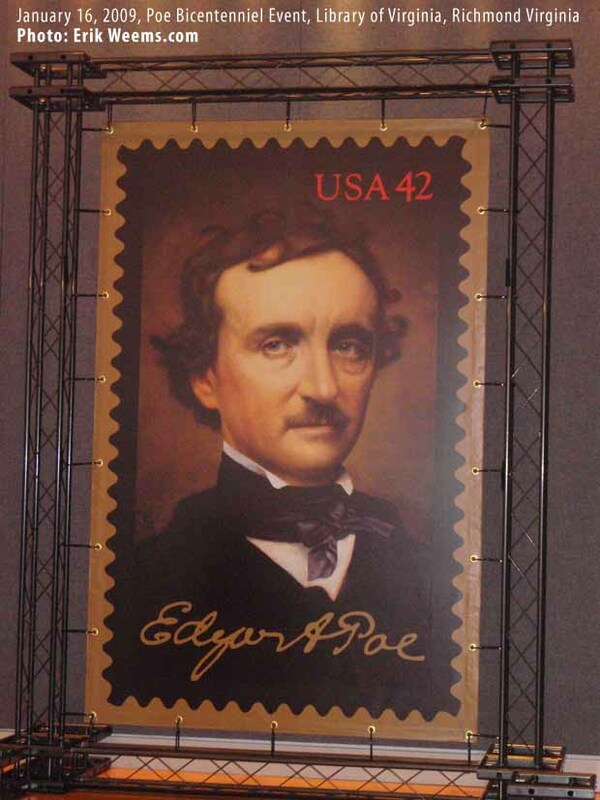 On January 16, 2009, the United States Postal Service issued a "Poe Bicentennial" stamp to commemorate the American writer. 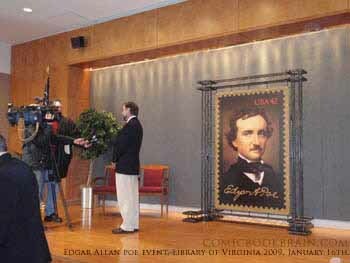 Issued from the Library of Virginia in Richmond, VA, the stamp artwork portrait is by Michael Deas. I attended the event which included lectures by Poe scholars and then the stamp issue which was mobbed politely by stamp collectors wanting the 'first day of issue' post marks, which is a valued commodity among Philatelic collectors of stamps. 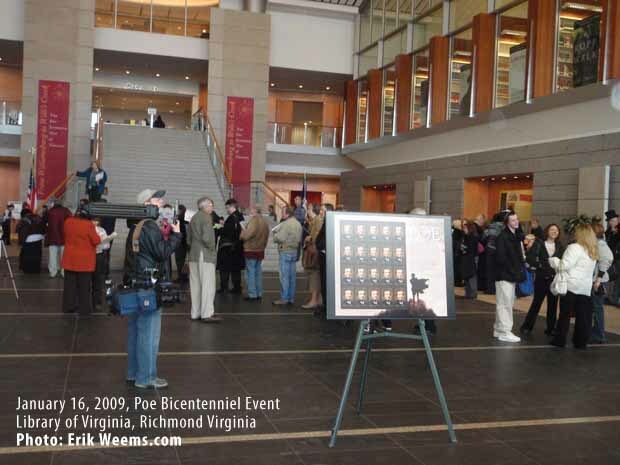 Photo of Library of Virginia Poe Event Jan 2009. Up the street a bit from the Poe Museum on Main Street is "Poe's Pub," just below Libbey Hill and Libbey Park.